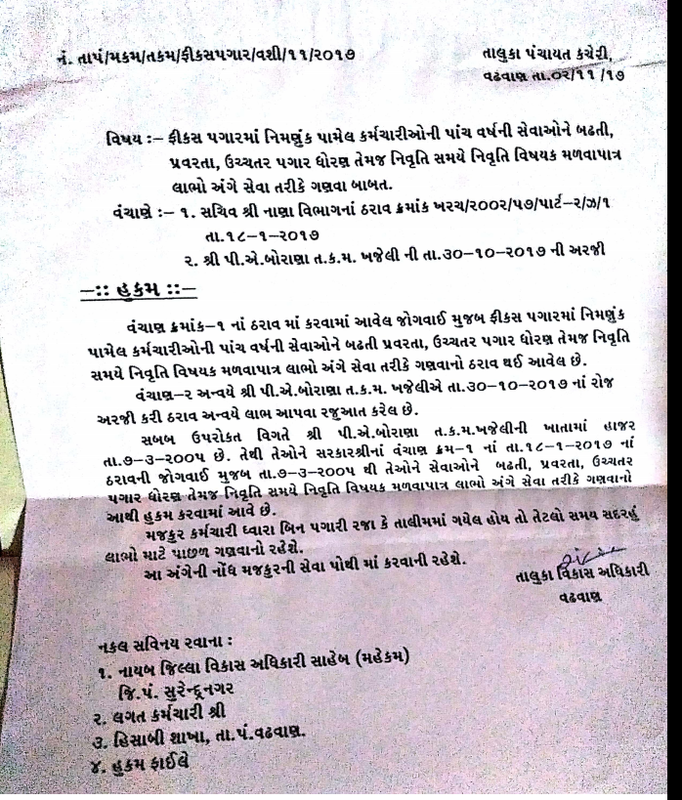 FIX KARMACHARIO NE 5 VARSH NI NOKRI BADHATI VAGERE LABHO GANVA BABAT HUKAM ~ :: GujaratGk :: Official Site :: Gujarat's No. 1 Educational Website..
GCERT (Gujarat Council of Educational Research Training ) dvara Htat Office keeping ma vahivati darek babato ni samaj aapva ma aavel chhe. temathi HTAT pariksha mate upyogi muddao ni samaj ahi raju karvama aavi chhe. Dear Visitors, Now you can get JOb information & COMPETITIVE EXAM PREPARATION MATERIALS through Gujaratgk.in site Easily. Gujaratgk.in Give Gujarat & India Level all type of new jobs information. Gujaratgk.in is famous for competitive exam’s preparation. we provide complete exam materials for various exam Like Tet,Htat,Tat,police exam,Clerk exam, Gpsc Exam,panchayat clerk exam and other Gujarat Level Exams.